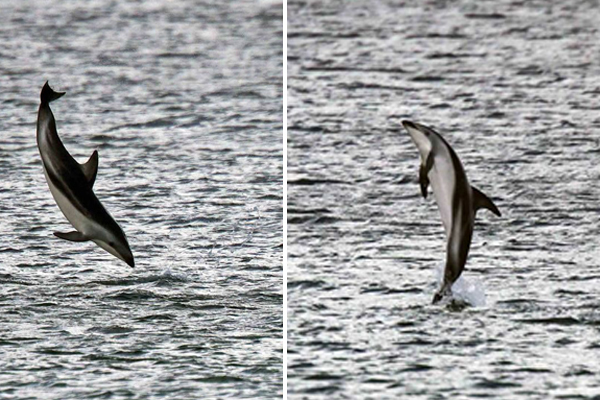 It is not uncommon to see dolphins in False Bay but this week locals and visitors have been treated to spectacular dolphin displays! It is too glorious to see these incredible animals in their natural habitat and having so much fun! A huge thanks to the Fish Hoek Beach Facebook Group who have been super stars at posting pictures and giving updates to the location of the dolphins all week. Photos courtesy of Melville Harding. And Some more photos from Melville Harding! Thank you so much! Dolphins are of the aquatic mammal family Delphinidae. It is estimated there are between 30 to 40 species of dolphins. Although they live in water, dolphins are mammals and breath air through their blowhole, which is located at the top of their head. Some types of dolphins must rise to the surface to breathe every 20 to 30 seconds while others can hold their breath as long as 30 minutes. Dolphins are highly social, playful, curious and intelligent. They live in groups or families called Pods. Dolphins sleep by resting one half of their brain at a time so that one eye is always open. This allows them to rise to the surface to breathe and to protect themselves from predators. Male dolphins are called Bulls and female dolphins are called Cows. A baby dolphin is called a calf. Baby dolphins are born tail first and suckle from their mother for up to 4 years. Mother dolphins produce milk that is extremely rich in fat, often up to 50 percent. Each dolphin has its own signature whistle to identify itself. Dolphins have excellent vision and well-developed eyes. Dolphins are carnivores eating mostly fish and squid and sometimes crustaceans. Dolphins have a thick layer of fat under their skin called blubber, which helps them to keep warm. 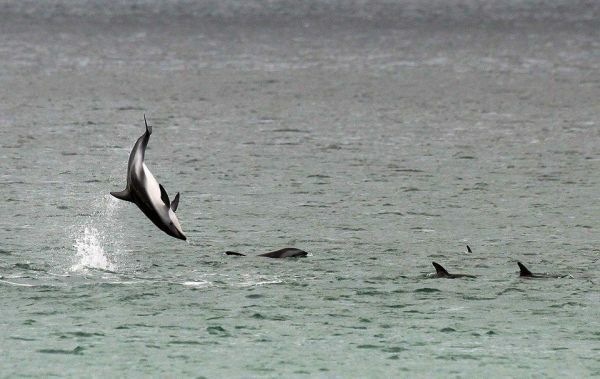 This entry was posted in Attraction, Wildlife and tagged Dolphins, Dolphins in False Bay, False Bay. Bookmark the permalink.